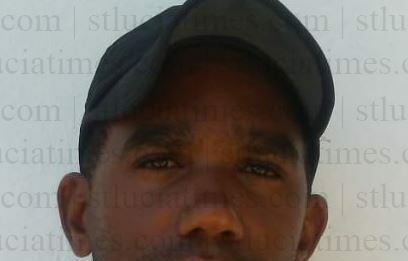 Micoud bus driver Edlon Charlery has appealed to members of the public to help him locate his stolen vehicle. “This morning I woke up about 7:30 and realised that my bus, a white Toyota Hiace registration number 402, was missing from where it was parked in front of the house, Charlery told St Lucia Times. He recalled that he went to the police station to report the matter. According to Charlery, a friend subsequently told him that the stolen vehicle had been spotted in he Thamazo area heading North bound about 5.00 a.m Sunday morning. He disclosed that the vehicle was locked at the time that it was taken from near his home. The Micoud resident would like members of the public to contact him at telephone number – 7210944, or the nearest police station should they happen to see the bus. Charlery said the 2004 Toyota Hiace, which plies the Vieux Fort to Mon Repos route, has the word ‘Family’ written on the front windshield as well as unmistakable red seats. The Micoud resident said the bus has been broken into ‘a few times’ in the past. God Is good. Keep praying you will get your vehicle. But God was good when his vehicle was stolen in the first place. Saint Lucia has gone professionnel in all sectors of crime; Edlon, if you believe you shall see the glory of my God! just keep on praying and keep your eyes and ears open! Now here is a man doing the right thing “making an honest Living”and here comes a mf…fu*&ing with his daily bread. Sometimes when those mf’s get their heads knocked the fu*k off I don’t feel bad. sorry if I offended anyone, my humble apologizes. this just really piss me off. I honestly feel what you’re saying..The Man..not right at all..this bus driver on his hustle to feed his family and this happens..what is he to do….those evil wicked ppl havr just cursed their entire generation..sir i pray your vehicle is found and you are able to carry on your hustle. God bless. They are certainly paying,and will certainly reap what they sow.Sooner rather than later. They will,they are,and they must pay.You are,you will and you must get your Bus.After all it’s your bus. Most strength and most courage Edlon. You are awesome and unstoppable.